There’s no Chinese alphabet. Instead, each word is represented by a character, or a compound of two or three characters. A respected Chinese dictionary lists more than 85,000 characters. An estimated 7,000 are in daily use. But the knowledge of how to compose those characters is in danger. All over the country, Chinese people are forgetting how to write their own language without computerised help. Software on smart phones and computers allows users to type in the basic sound of the word using the Latin alphabet. The correct character is chosen from a list. The result? It’s possible to recognise characters without remembering how to write them. While this article posits a seemingly interesting question it fails to acknowledge other possibilities, such as standard Hanzi that remain frequent developing into a sort of phonetic alphabet…meaning the around 400 syllables of spoken Chinese each having one character to represent them. Or, a complete reversal of technology being used in place of formal written language (not very likely, of course). 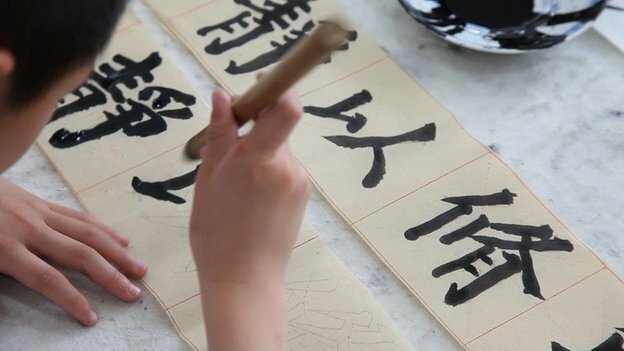 What is perhaps more important than what might happen to Hanzi, or any other writing system, is that whatever it is, it is already happening, and will continue to happen. The notion that writing systems – of any kind and form – are static is silly and barely a legitimate assertion. Just as language changes to meet the communication needs of its speakers, so too, writing changes along with those needs in order to best convey the intended information. Emojis are probably the best example of this – as annoying as they may (or not) be – they serve the purpose of shortening a message and therefore giving the writer the ability to transmit more information in less time. They also make it possible for the user to express what might be considered a complex feeling or thought in less than a few characters. This is not the exact same thing that is happening to written Chinese, but it comes from the same root cause, technology. 600 years ago in order to find someone that could even write more than a word one need visit a monastery or nunnery. The printing press changed that. Along with that change was a change in language use, not just writing. More people being able to read and write – while arguably an objectively good thing – can be shown to change the common spoken and written language in tremendous ways. What is happening now is a more rapid and substantive change, therefore it is more noticeable and remarkable, but not earthshattering. 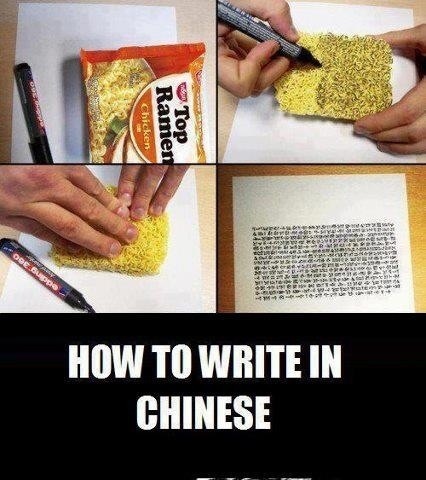 This is funny to anyone that has studied Chinese or, more specifically, Hanzi. A quote from perhaps my all time favorite episode of Star Trek. Like countless other scripts this is more of a cypher than an actual script. It fails to diversify its character base (e.g. 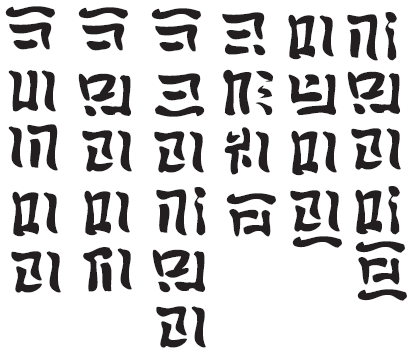 all of its letters look a lot alike) and the use of the dot is phonologically inconsistent. I think the concept is one worth exploring, but this script fails in execution. I give it a 2×2 for aesthetics and functionality. Producing new insights into the evolution and development of human populations around the globe is no easy task, but scientists can draw on multiple sources of data to do it. In a new study, Sohini Ramachandran and colleagues at Stanford University and University of Manitoba analyzed troves of data on genetics and distinct sounds in language—phonemes—to discern important patterns. This seems mostly intuitive to me. The idea that language is inherently cultural and therefore familial jives with my overall understanding of what migration and evolution suggest. If the Og family moves around and splits into the Mog, Tog, and Vog families, it stands to reason that the languages they speak would follow a very similar line. I love articles that link evolution and the study of language. The ultimate prize would be to one day discover something that gave clues as to what the first language looked or sounded like. However, I have my doubts that will ever come to be.